Cape Coral, Florida is the Best Place to Live with Asthma, according to the Asthma and Allergy Foundation! From 2014, the Cape jumped up 4 places to take the #1 spot for 2015. Warm weather, good air quality, lower levels of stress and poverty, proximity to hospitalization with excellent health care systems, and low incidence of natural disasters were some of the factors that determined Cape Coral's great rating. You will also love the lower housing prices; the beaches, boating, fishing, and golf; shopping and dining options; fun activities for all ages such as festivals and other attractions. If you have other lung diseases such as allergies, bronchitis, pneumonia, chronic obstructive pulmonary disease (COPD), mesothelioma ......... they have similar triggers that affect breathing as asthma does. 1) Geography - Locations on the water rate highly because wind blows away allergens and pollen. 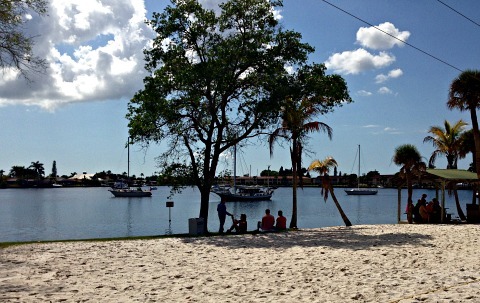 Cape Coral has all those lovely Gulf of Mexico breezes to lower the counts of irritants that cause asthma. Be aware though, that everyone is different and one person may do well in one city while another may not. 2) Weather - Mild climates with no extremes in temperature are best with those who have asthma. Cold air can shock the lungs and narrow bronchial airways. 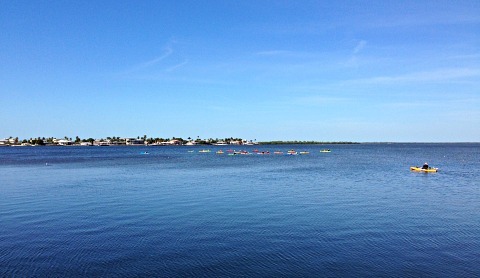 Cape Coral temperatures range from 33 degrees at the lowest to 97 degrees at the highest. Humidity can be a trigger too ......... it can get pretty humid here, but again, we have the gulf breezes. I actually think it seemed more humid in Connecticut during the summer because of all the trees. Humidity will increase mold levels, but I would suggest buying or renting a newer home and managing your air conditioning to reduce the humidity in your home. We do have some pollen at certain times of the year that can cause sinus issues .......... I haven't had too much of a problem with that. It will depend on which pollen you may have allergies to. Also, be aware that we usually have some brush fires in April and May at the end of dry season that can trigger symptoms. 3) Pollution - The more cars and more industry, the more pollution that can trigger asthma symptoms. Pollution also increases C02 emissions, which increase plant growth and pollen levels. Tourism is the big industry in Cape Coral and Southwest Florida. Cape Coral has low levels of traffic, and is also considered one of the safest places to drive because of that. 4) Smoking - Cities, such as Cape Coral, with stricter smoking laws that ban smoking in workplaces, restaurants, and other public locations rate higher. 5) Other - Rats, mice, and cockroaches can be asthma triggers and are more likely to infest poverty-stricken neighborhoods. The products you use to clean your house may affect you, switch from chemicals to more natural products. Putting in central air conditioning can make where you live now the best place to live with asthma! In my case, I had asthmatic bronchitis and terrible allergies to mold and pollen when I lived in Connecticut. I was pleasantly surprised to find that since I've moved to the Cape, I haven't had any of those issues. About a year ago, I saw in the news that a family moved to the Cape with their very ill son who had very bad asthma. He is completely free of symptoms now. My mother used to get a cough that would linger for months after a cold .... she hasn't had any problems since moving down here. So, what about you ..... should you move or not? Asthma is a complex disease and moving may or may not be a solution. Some people's allergies have gotten worse or they've developed new ones once they've moved down. The best thing to do would be to take a vacation first if you can. Then, consider renting for 3-12 months on a trial basis. If all is good ......... make the move and come on down! I've read that emphysema sufferers require low altitude, low humidity, and a mild climate. According to COPD Digest ...... Naples, Florida is #4 on their list of top places to live with COPD. Please remember, I'm not a doctor, so those of you: with lung cancer, are on oxygen treatment for emphysema, are making mesothelioma claims, or are incapacitated in any way need to consult your doctor before making a move.